UGC has invited applications for the award of Maulana Azad National Fellowship or MANF for minority students for the academic year 2018-19. 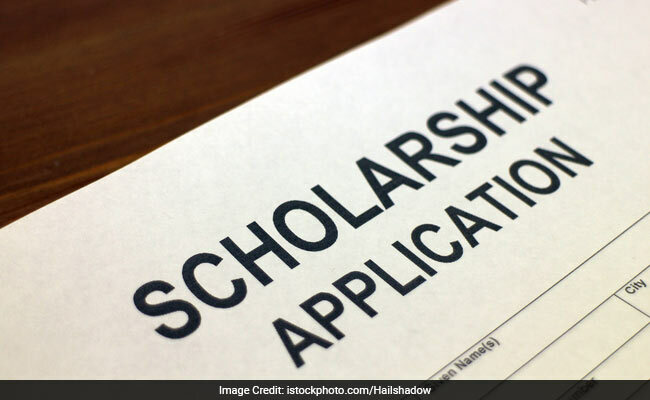 University Grants Commission or UGC, the higher education regulator, has invited applications for the award of Maulana Azad National Fellowship or MANF scholarship for minority students for the academic year 2018-19. As reported by NDTV earlier, the fellowship has been notified after an interval of 2 years and the Commission has increased the number of fellowships to 1,000 from 756. 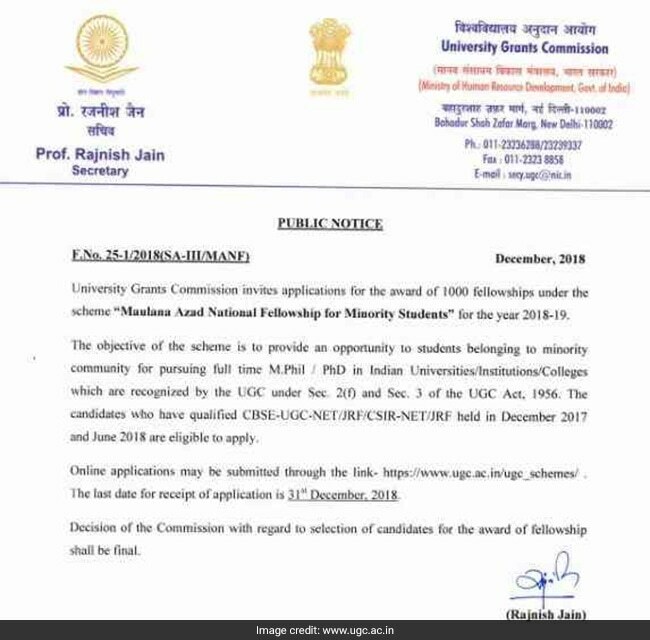 According to the UGC, students belonging to minority community pursuing full time research programmes in higher education institutions may apply for these fellowships. "The candidates who have qualified CBSE-UGC-NET/JRF/CSIR-NET/JRF held in December 2017 and June 2018 are eligible to apply," said the UGC notification released on Monday. Online applications can be submitted through the link- www.ugc.ac.in/ugc_schemes/. The last date for receipt of application is December 31, 2018. The MANF scheme is open to candidates who belong to one of the minority community i.e. Muslim, Sikh, Parsi, Buddhist and Christian to pursue higher studies such as regular and full time research degrees in Sciences, Humanities, Social Sciences and Engineering and Technology. The Commission is yet to announce details of RGNF fellowships, which was also delayed for last two years. The RGNF Scheme for Scheduled Caste and Scheduled Tribes (now renamed as National Fellowship for Scheduled Caste Students) is formulated and funded by Ministry of Social Justice and Empowerment and Ministry of Tribal Affairs. The scheme is open to candidates who belong to Scheduled Caste and Scheduled Tribe who wish to pursue higher studies such as regular and full time research degrees in Sciences, Humanities, Social Sciences and Engineering and Technology.